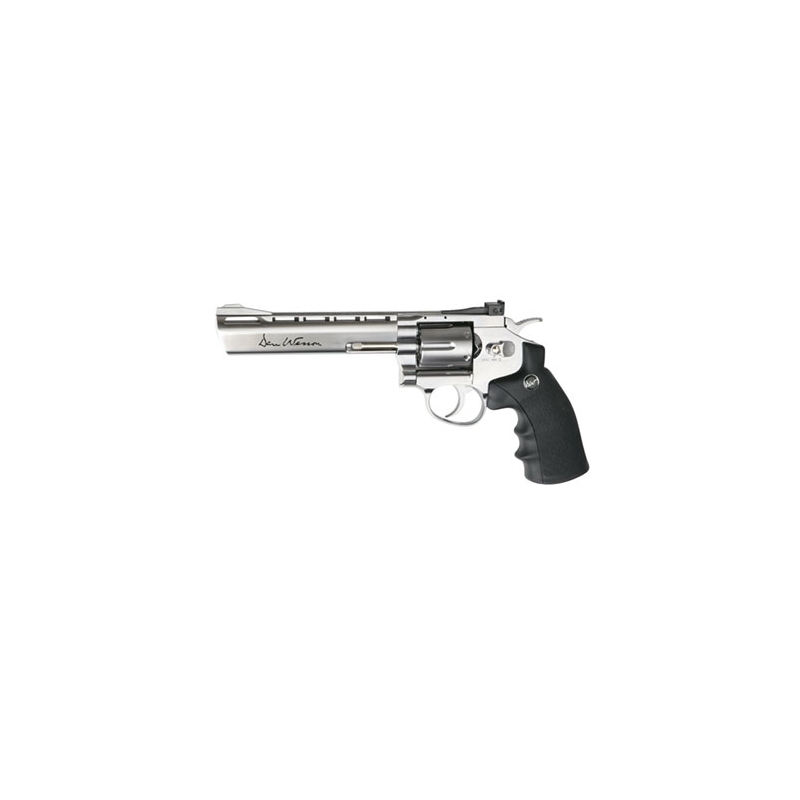 The Dan Wesson Airsoft Revolver 6" Silver is designed for realism. 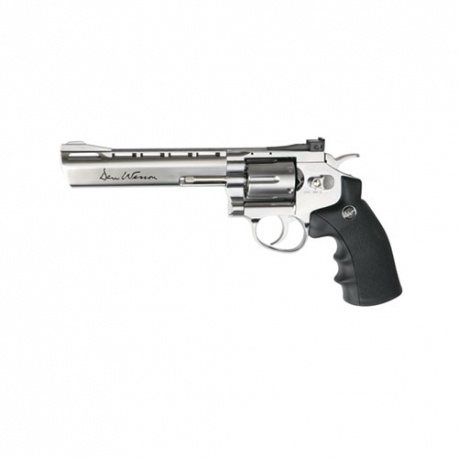 Stamped with fully licensed authentic markings, the Dan Wesson Airsoft Revolver 6" Silver even has a unique serial number. Running off a single 12 gram CO2 cartridge, the Dan Wesson Airsoft Revolver 6" Silver is easy to use and reliable. With its all metal construction, the Dan Wesson Airsoft Revolver 6" Silver is built to last, even in the most unforgiving conditions. Buy this Revolver, it turns out to be a shotgun too. my opponents hear a partial loud gunshot and the next moment they are out! I also use my Dan as a shotgun in revolver form. While I'm in game play I insert 3-6 bb's (depending on the distance that I am from my opponent) down the barrel and fire, with the high FPS gives the bb's a scatter affect. Maximum distance with 6 bb's is about 100-125 feet (approx). I find this gun very helpful during gameplay. For myself, reloading is simple. Tip the gun upward, speedloader in hand, insert bb's in shells without taking them out of the magazine cylinder. (Remember to rotate the cylinder while reloading shells). You get what you see. a very nice revolver action bb gun with an equally cool shell loading function. Well priced locally. sturdy and heavy weight.impressive chrome finish and 6 inch barrel will astound onlookers. only draw backs are the high velocity, you must take care on shot placement for safety.also the fact there is no hop up and will lack range of other sidearms.